A graduate of Appalachian State University, Jeff Kaller has been self-employed as a real estate investor, promoter and real estate trainer for many years. For 17 years he has successfully taught over 100,000 students his proprietary method of short sales. During his career, he has purchased and sold over 400 single family properties, and he and his affiliates have negotiated in excess of One Billion Dollars in short sale debt. Did You Give Up on Short Sales? If you are counting on the past real estate trends and regulations to help you close deals today, that is enough to put you out of business. The short sale industry is changing and if you don’t change, your short sales deals will fall apart. NO CLOSINGS = NO CA$H. For the past couple years, I have watched the short sale industry change on a monthly basis for Investors and Realtors. What worked in the past is not working now; what worked in January 2011 is not working now. Since I am a Real Estate Broker and an Investor, I have had to watch with a keen eye in order to adapt quickly and successfully to the changes. In order to allow your business to grow and be successful, you must also invest the time to “sharpen the saw” and renew the “mind” of your business………for the sake of your business. The only guarantee we have is that change will always continue. It’s scary and often we want to bury our head in the sand and wait until it passes, but that’s not a choice here. We must arm ourselves with education and turn change from our enemy into our friend. 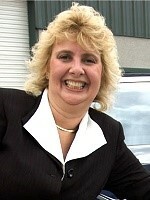 Join us Tuesday evening at 7 PM ET on the Real Estate Junkie Webcast to find out how! Leslie Mathis, myself and the rest of the attendees wanted to thank Bill and Kim Cook for speaking last night (3/28/11) at the Atlanta REIA West Meeting at the Cherokee Cattle Company on the fascinating topic of how to buy houses at the courthouse foreclosure auction. Bill did an excellent presentation for both new and seasoned investors. This meeting was very well attended and Bill and Kim were asked many excellent questions by the audience. Any time you see Bill and/or Kim speaking, we highly recommend you attend. They have years of experience buying and selling real estate and both specialize buying and the courthouse steps and doing short sales. Thanks again Bill and Kim! Is your business heading to MARS? 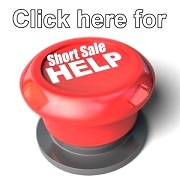 Have you heard about the new mandatory short sale disclosures? Are you aware of how the new Mortgage Assistance Relief Services (MARS) rule is influencing your business operations? If not, you need to found out now! In November 2010, the FTC (Federal Trade Commission) published the final Mortgage Assistance Relief Services final rule (“MARS rule”). This rule took full effect on January 31, 2011. Whether you are a Realtor, Investor, Mortgage Broker, Seller… you need to know your rights and your obligations! MARS is fully enforced and we want to be sure you are using the new required disclosures and keeping your business in tip-top shape! This is “MUST KNOW NOW” information! 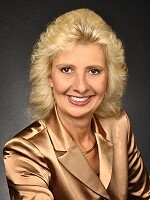 Join us on the call for continuing education on the most current and evolving market changes… hear from Licensed Broker and Investor, Kimberlee Frank and Short Sale Expert! Join her on Tuesday, March 8th at 7:00 PM ET. Register for the Webcast Now! What, you say? HOW???? Watch to our new live Real Estate Junkie Webcast on Tuesday, January 11th (and the first Tuesday of each month) from 7:00 PM to 8PM ET!! Hey everyone! 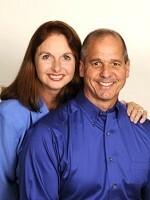 I am excited to announce that we are launching our new Evening with a Real Estate Expert Webcast on September 22nd, 2010 at 7PM ET via GoToWebinar.com with our special guest and my good friend and real estate attorney, John Maurer. John brings to the table twelve years of real estate experience with a specialty in investor services. 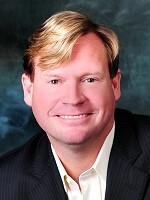 John has handled all aspects of real estate transactions from conventional loans to hard money deals. He has done short sales, back to back closings, wrap mortgages, owner financing and dealt with non-closing real estate litigation including foreclosures, evictions and the creation of various contracts including rental contracts and lease purchases. On our webcast, John will be hitting some of the highlights of the new investor market landscape. He will answer questions about the SAFE Act and how it relates to both Short Sales and Owner Financing. He will discuss back-to-back transactions, both general and as part of a short sale. He will discuss issues regarding financing and seasoning. Don’t miss your change to get your questions answered by John Maurer on our first ever, Evening with an Expert Webcast! Register for the Webcast Now!